About Us Streetly Electronics are the world experts in mellotrons and novatrons, manufacturing the most authentic modern mellotron - the M4000 - and returning original machines to their former glory. John built early mellotrons with his father Les, who owned the mellotron factory in Streetly, Birmingham, England. This lineage and history makes us the most knowledgeable resource on the planet for all things mellotron related. People & Sounds We’ve worked with some fantastic people, amassing an impressive client list, and we collaborate with software and digital instrument designers to bring you the unmistakable sound of the mellotron in more ways than ever. Discover our enormous catalogue of sounds, explore the work of our collaborators, and browse through the list of our esteemed clients to experience the breadth of Streetly Electronics’ work. Service & Restoration With an unparalleled wealth of knowledge and experience, Streetly Electronics are the world experts in the maintenance and restoration of mellotrons, novatrons, chamberlins and birotrons. 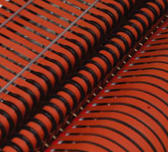 We also build completely bespoke machines to customer specification. Whether it’s simply replacement tapes, a full rebuild, or a custom commission, Streetly are the people to call. 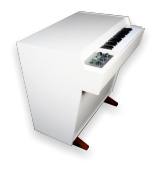 New Instruments The M4000 mellotron from Streetly Electronics offers the authentic electromechanical experience of an original mellotron, with 21st century reliability. The range of sounds available provides artists, producers and enthusiasts with the ultimate recreation of the classic instrument, complete with an array of modern improvements to give a unique and dependable playing experience. 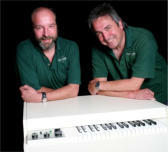 Streetly Electronics are the original UK manufacturer of the mellotron and world experts. We manufacture, service, restore, and offer new sounds for mellotrons old and new.